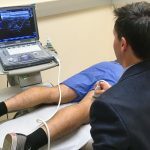 UConn Health’s Lung Cancer Screening Program is urging current and former heavy smokers to get screened for the disease with a low-dose computed tomography (CT) scan. “Low-dose CT is a very powerful screening tool for giving doctors higher-definition and clearer imaging of the lungs,” says Dr. Omar Ibrahim, the newly appointed director of thoracic oncology at UConn Health’s Carole and Ray Neag Comprehensive Cancer Center who specializes in interventional pulmonology care. The biggest risk factor for lung cancer is smoking. According to the CDC, 9 out of 10 lung cancers are linked to the smoking of tobacco. Lung cancer is the leading cause of cancer death among men and women. In 2016, the American Cancer Society expects the disease to claim more than 158,000 more American lives and lead to 224,000 new diagnoses. “Not everyone realizes that more Americans die of lung cancer than of breast, colon, and prostate cancers combined,” says Ibrahim. Lung cancer lesions are often identified as an incidental finding when a patient undergoes a chest x-ray or another imaging test for a different medical need. Also, way too often the disease is diagnosed in its advanced stages and after symptoms such as a heavy cough, coughing up blood, or shortness of breath present. 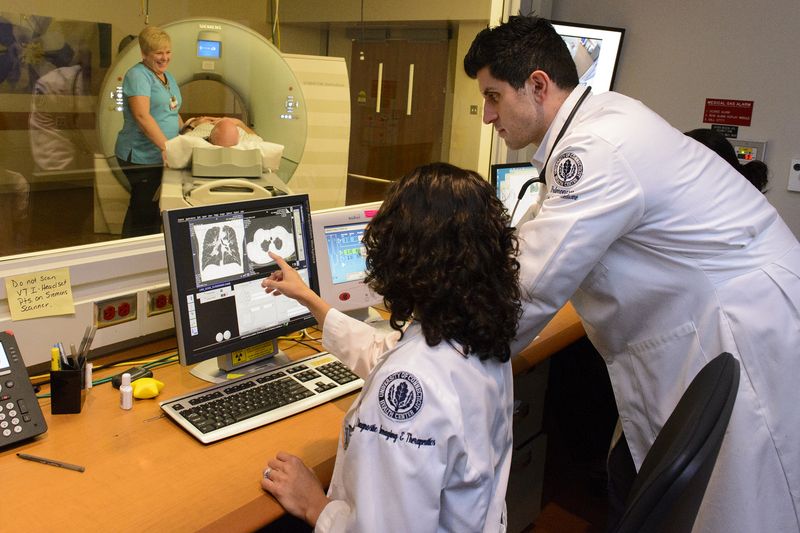 If a low-dose CT scan catches a suspicious lung nodule or growth, Ibrahim leverages minimally invasive techniques to rule out lung cancer, or diagnose and identify what stage the disease is at. 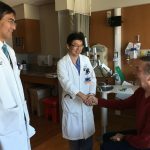 In the exam room he is able to use video-guided 3D navigational bronchoscopy technology and ultrasound technology to closely examine a patient’s lung tissue, using a thin, flexible tube via the nose or mouth. The technology also allows for small lung tissue biopsy samples to be garnered. 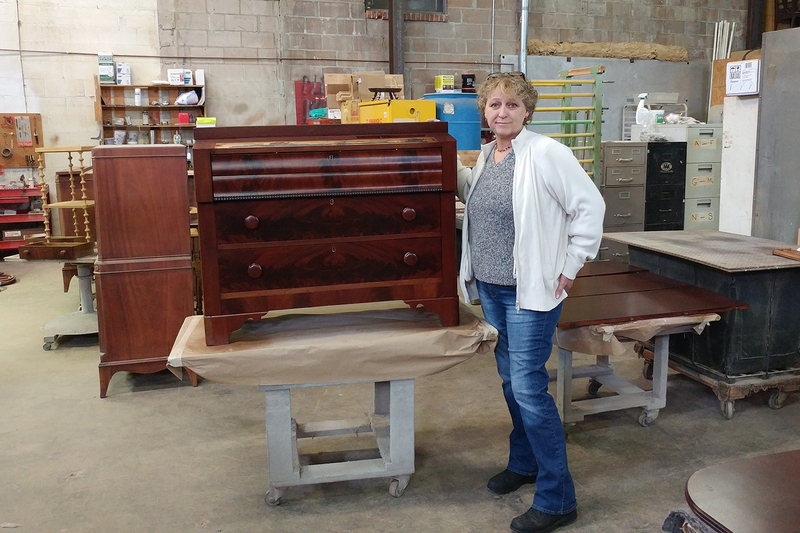 Brenda Weinle, an antique restorer from East Hartford and a lung cancer survivor. Brenda Weinle, 53, is an antique restorer from East Hartford. 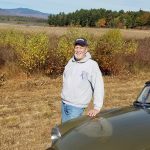 Two years ago during a visit to the Emergency Room at UConn John Dempsey Hospital for elevated blood pressure, a CT scan happened to catch a small growth on her right lung. 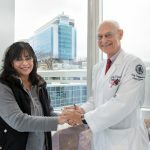 Every six months following the surprise discovery, Dr. Omar Ibrahim, director of thoracic oncology at the Carole and Ray Neag Comprehensive Cancer Center at UConn Health, and its radiology team closely monitored Weinle’s lung nodule. When radiologists noticed that the nodule grew by a hair, Ibrahim immediately scheduled follow-up testing, which confirmed an early-stage lung cancer tumor in the center of Weinle’s right lung. Fortunately, the tumor was thought to be small and not to have spread to any of the surrounding lung tissue or lymph nodes, and this was confirmed by minimally invasive bronchoscopy techniques by Ibrahim. “When anyone hears the possibility of cancer they are afraid, but I knew it would be cancer,” says Weinle, a former smoker who has had various types of cancer strike her family members. In fact, her grandmother, a non-smoker, died of lung cancer at the age of 49. “We were very lucky to have discovered Brenda’s cancer early and to be able to surgically remove it,” said UConn Health’s Dr. Daniel Fusco, who performed the surgery on Sept. 23 through Weinle’s back and in between her ribs to access her lung and remove the cancer. She is grateful to her entire medical team at UConn Health especially Ibrahim, Fusco, her anesthesiologist Dr. Kevin Shaw, her primary care physician Dr. Elizabeth Appel, along with all of the nurses and staff. Similar to other cancers, such as breast cancer screening with mammography, lung cancer screening guidelines have set criteria for who should be screened and when. National guidelines currently call for both males and females ages 55-80 with a history of heavy smoking of cigarettes (one pack a day for 30 years or two packs a day for 15 years) to have their lungs screened with a low-dose CT scan. “It is important for heavy smokers to know that their risk of developing lung cancer only drops 15 years after they quit, so the sooner [they quit] the better,” Ibrahim stresses. Other risk factors that may qualify a person as high risk and as meeting the criteria for lung cancer screening can include a high-level of second-hand smoke and radon exposure or a strong family history of the disease. However, Ibrahim points out that sometimes even recreational smokers and people who never smoked a cigarette in their lifetime can end up getting lung cancer. If you are a heavy smoker, former heavy smoker, or are at high risk for lung cancer, you may qualify for a free low-dose CT scan screening. For more information or a risk assessment, call UConn Health’s Lung Cancer Screening Program at 1-860-677-LUNG. To contact UConn Health’s Smoking Cessation Program call 860-679-2100.